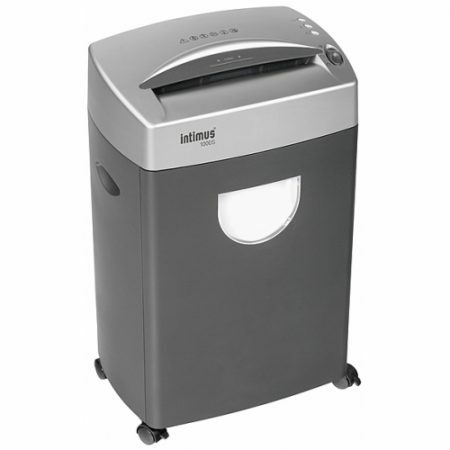 Intimus 100CP4 Paper Shredder ideal for up to 5 users FREE DELIVERY! The Intimus 100CP4 Paper Shredder is a high-Security – Cross Cut Paper Shredder – German designed. A Cross Cut Paper Shredder offers higher security than a straight cut machine along with higher bin capacity which can be an advantage in a busy office. 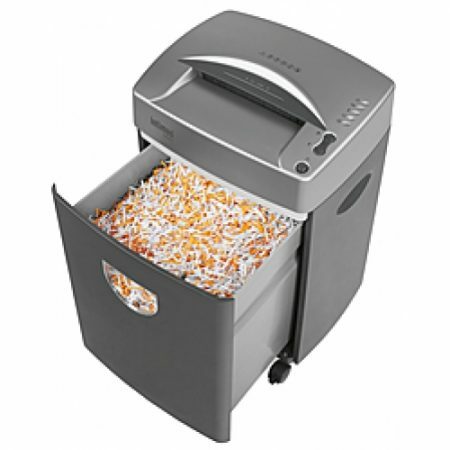 The multi-functional Intimus 100 Paper shredder destroys paper, CD’s, DVDs, floppy disks, staples, paper clips and credit cards. Integrated Auto Reverse Function for easy removal of jammed paper. Intimus 1000s Paper Shredder – Small Office – 1 to 2 Users. 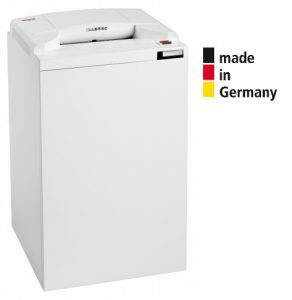 Intimus 2000s Paper Shredder – Small Office – 2 to 4 Users. Intimus 3000cc Paper Shredder – Small Office – 2 to 8 Users.